Cambridge Development provides real estate development services designed to maximize your investment, throughout Southeast Michigan, and beyond. The keys to realizing the full economic value and optimal use of a property are knowledge, planning and experience. Our real estate development specialists have the talent, creative vision and training to help landowners achieve the maximum potential from their property. Cambridge Development has the flexibility to work with clients in ways that best serve their needs. The development process includes several steps that require varied skills along the way, from the imagination to conceive the project to the technical skills required for the construction phase. At Cambridge Companies, our past successes are proof of our expertise in both residential land development and commercial land development projects. Cambridge owner Mark Guidobono started his own development/construction company in 1979. The company’s hallmark has always been exceptional quality combined with unsurpassed customer service. Below are a few of the properties that we have developed in recent years. In addition, we have served as General Contractor for more than 30 different commercial projects. Cambridge is proud to have received the prestigious “Development of the Year Award” presented by the Building Industry Association of Southeastern Michigan for two communities. 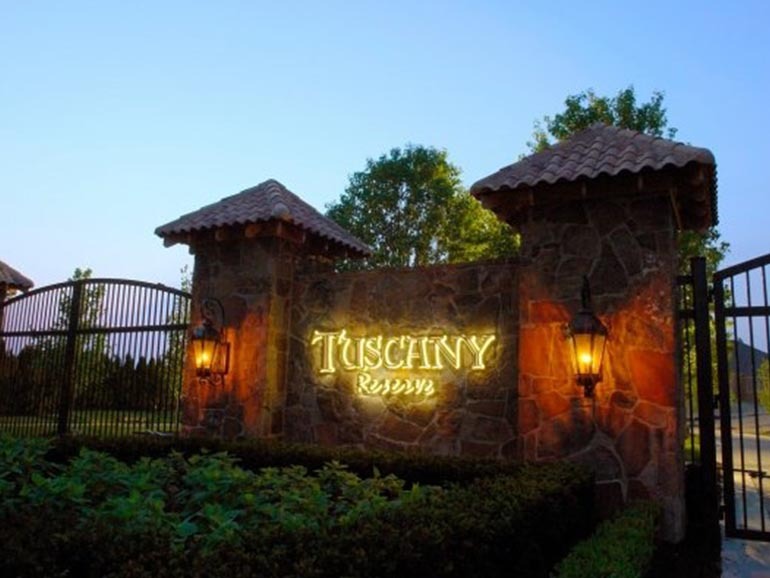 With the popular appeal of the luxury home market in the Novi/Northville area, the time was right for the European-inspired Tuscany Reserve development. Groundbreaking for Phase I of this exclusive gated new-home community began in 2006. Tuscany Reserve’s timeless beauty, currently in the homebuilding phase, features 58 estate-size homesites and common areas, including a professionally landscaped central park and an active sports park. 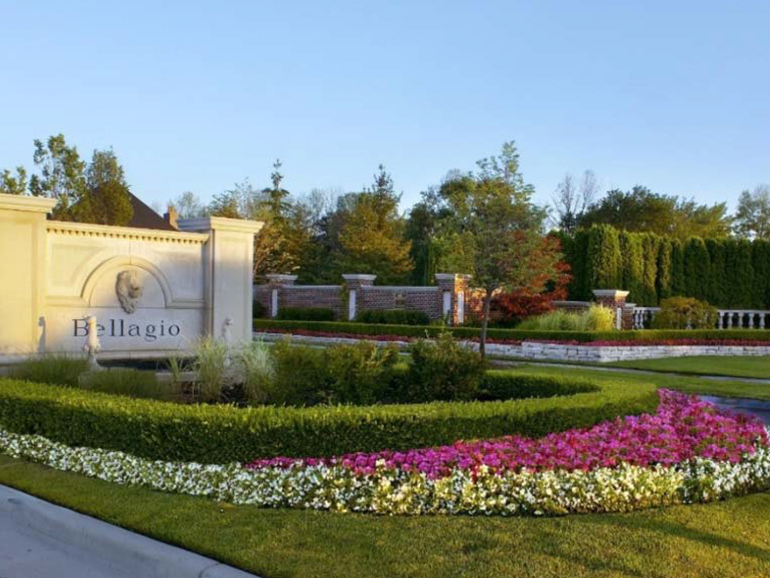 Named for a small hillside town in Italy, Bellagio is Oakland County’s premier gated community featuring grand one-of-a-kind homes that originally sold in the $2 million price range. Each home was designed and built with unparalleled style and architectural splendor. We conceptualized an exclusive home community, similar in ambiance and enduring value to the historic Grosse Pointe, Michigan, mansions built in the early 1900s. The Bellagio community includes 55 estate-size homesites on 73 acres and includes a picturesque four-acre central park graced with colorful gardens, walking paths and a classical limestone gazebo. The Woods of Edenderry luxury home community is comprised of 101 spacious homesites on 77 acres with 16 acres of protected woodlands and wetlands. The gently rolling terrain was carefully developed to include scenic walkout-level and private cul-de-sac sites. In addition, the project was designed to complement the Northville area’s Victorian charm and includes winding sidewalks and old-fashioned street lamps. This was one of the first communities in the area of this scale that featured high-end homes in the million-dollar price range, and due to its high demand and success, several other communities followed. Would you like to talk about a development project? For development information, please fill out the form below, or call 248‑348‑3800.